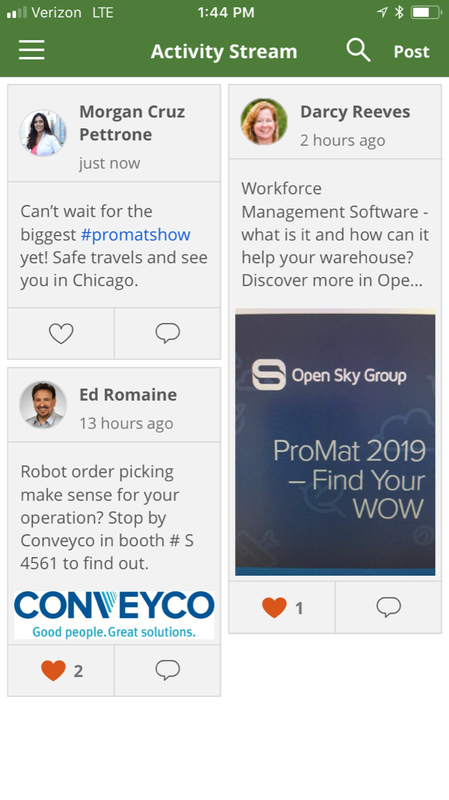 With ProMat just around the corner, I took time to download the ProMat 2019 Mobile App and trust me it did not disappoint! With over 1,000 exhibits, four keynotes and over 100 educational sessions at ProMat, you’re going to need a way to stay organized and on-track. Here’s five reasons I’ve found to why the ProMat Mobile App is a must have tool on-site. The ProMat 2019 Mobile App allows you to keep a personal agenda of what exhibitors, keynotes, seminars and networking events you’d like to see. Simply “favorite” the sessions and exhibtiors you would like to add to your schedule and they will appear in the favorites and notes section on the app. Don’t worry about forgetting the day and time for these keynote or seminar sessions. The app will prompt you to set a reminder alert for each session. I went ahead and “favorited” the sessions I’m planning on attending at ProMat. Check out my agenda so far! 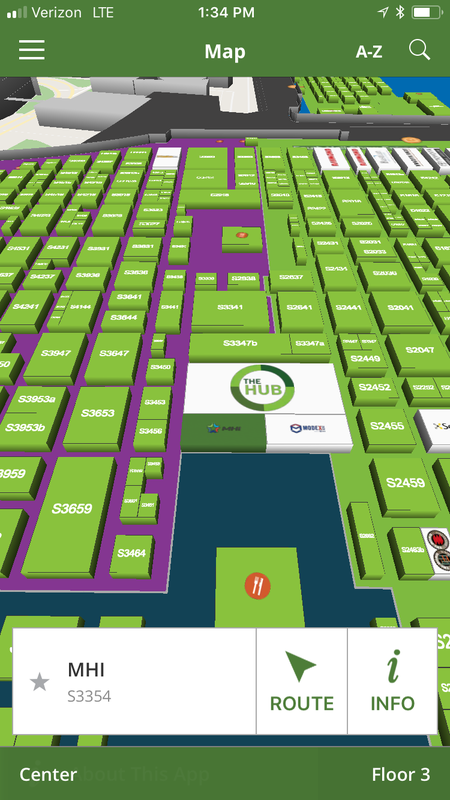 View an interactive floor plan of the ProMat show floor right on the mobile app. Zoom in and tap on a specific booth and it will show you the exhibitor name, booth number, company description, contact info, weblink and more. This is going to be the easiest and fastest way to locate the booth you are looking for. 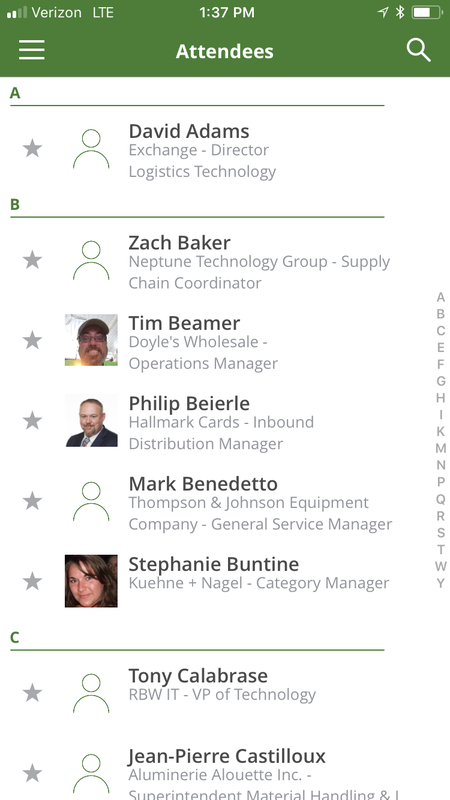 The ProMat mobile app makes it easy to find other attendees. You can even send them a private message and see contact info they’ve made available such as phone number, email, and social media sites. Keep track of who you have met or who you would like to meet by “favoriting” their name (just tap the star next to their job title). If you have a question about ProMat, chances are it can be answered on the mobile app. You’ll find the ProMat shuttle bus schedule, registration, wifi, show office, food service information and more. Once you download the ProMat mobile app you’ll be prompted to allow push notifications. If you select “allow” you’ll receive a few reminders on important events happening that day. They’re a helpful way to stay in-the-know about what’s happening at ProMat just by having your phone on you. I promise you won’t be annoyed, I personally made sure not to schedule too many notifications! 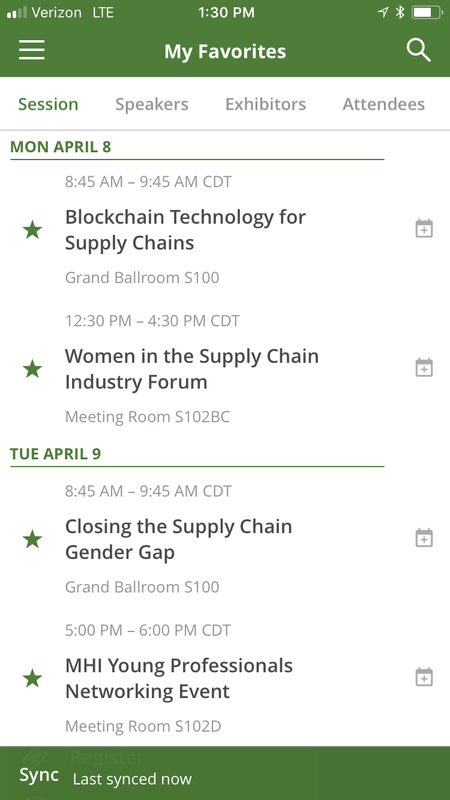 Now that you know all that the ProMat mobile app can do, be sure to download the app and join in the live activity stream! If you want, you can even connect with me and “like” my first post! 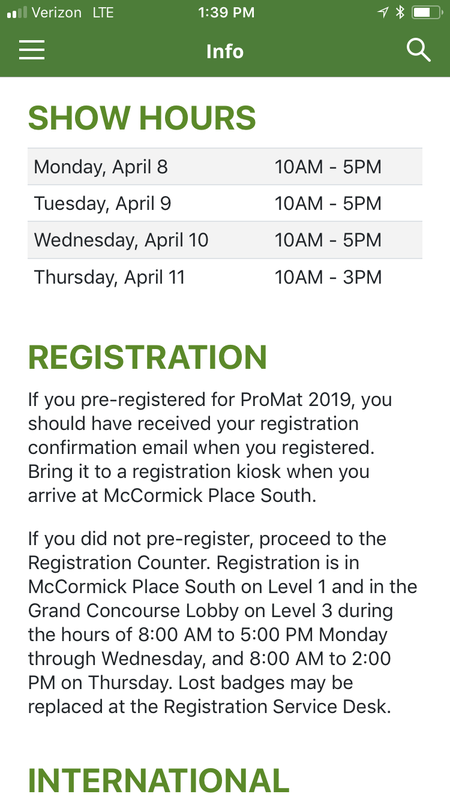 Looking forward to seeing you all in Chicago and remember, ProMat is a big show, so make sure to download the ProMat 2019 Mobile App for the most effective ProMat experience.